In their efforts to improve air quality in Europe, EU lawmakers adopted a directive in 1997 that restricted emissions of pollutants such as nitrogen oxide (NOx) and particulate matter (PM) from diesel engines installed in non-road mobile machinery (NRMM). NRMM includes machinery used in the agricultural sector (for example tractors, harvesters, sprayers and chainsaws) and road construction (concrete pavers, cement mixers, bulldozers), railroads as well as inland waterway vessels (IWV), such as barges. Despite subsequent legislative amendments tightening the controls, the European Commission has found that total NOx and PM emissions from NRMM have continued to grow due in part to the increasing numbers of machines put into service. Another reason behind the relative increase in pollutants, according to the EU executive, is that emissions standards for road vehicles have become more stringent but equivalent measures for NRMM have lagged behind. A 2008 study by the European Commission’s Joint Research Centre predicted that NRMM’s share of total NOx emissions in the EU 15 would grow from 16% in 2005 to 19% in 2020. Pollutants from diesel engines are one of the principal causes of cancer, according to the World Health Organisation, and a major contributor to the 400,000 premature deaths each year in Europe caused by air pollution. In major cities such as London, pollution from machines used in roadside labour accounts for 15% of NOx, and 12% of PM emissions, with construction workers exposed to the highest levels. As part of the directive’s review process, the Commission put several proposals up for discussion with stakeholders in 2013, with a view to meaningfully reduce NRMM emissions. NRMM that is already regulated — compression engines for example — would face tighter emission restrictions. NRMM that was previously unregulated, such as generators and snowmobile engines, could come under the scope of the directive. According to the Commission, these kinds of modifications are also necessary because some of the directive’s emissions requirements are no longer up to date with already available, state-of-the-art technology. Emission limit changes may not necessarily induce higher R&D costs or technological challenges because many manufacturers export NRMM to more strictly regulated markets such as the US. On 25 September 2014, the Commission tabled a proposal for a regulation that would replace the existing directive. It will then be submitted to Parliament and Council scrutiny. In order to effectively reduce NRMM emissions, the Commission considered regulating several engine types not previously covered by the Directive. For example, existing limits on compression engines (CI) with power between 19 kW and 560 kW could be extended to CI of both lower and larger power levels. Stationary engines—generators for example—as well as snowmobile engines could also come under the scope of EU law. In some cases, the Commission believed it would be suitable to align EU emission limits with stricter US standards. Since several manufacturers already export to the US, it said compliance costs would be minimal. Several industry groups pointed out that some of these options would be premature however. Because of the slow rate of replacement, old machinery largely outnumbers the new, cleaner fleet and is the main contributor to emissions. Extending or tightening limits would not solve that problem since they would only apply to new machinery. Retrofitting old machinery so that it complies with new limits also met industry rejection. In addition, R&D spending on emissions compliance could siphon funds away from industry efforts to improve fuel consumption of NRMM, some manufacturers warned. Extending the law to emergency stationary engines—which only run a limited number of hours per year—was also controversial. Generators used for cooling nuclear reactor cores in case of an emergency should be exempt, argued Europe’s electricity industry association Eurelectric. The group highlighted the risk of legislative duplication on grounds that stationary engines are already covered by the Industrial Emissions Directive. A draft proposal seen by EURACTIV in the spring of 2014 eliminated some initial options. This was later confirmed in the Commission’s proposal. For example, large engines (above 560 kW) used in land NRMM would not have to meet any particulate number (PN—see below) standards. Green campaigners underscored that such an omission could result in market distortions since slightly larger unregulated NRMM may be more attractive pricewise than the regulated, smaller ones. Over the years, the NRMM Directive and its subsequent amendments introduced increasingly stringent emission standards. Emission limits were lifted in stages—up to stages III and IV, depending on type. Tightening limits further to stages IV or V, possibly in line with available US standards, was an additional option that was put on the table. In 2011, both Council and Parliament had recommended that such an option be considered. Alignment with Euro VI on-road vehicle standards and the introduction of PN count (see below) in particular were to be explored under the review. While industry supported in principle a US-aligned stage V, many groups, including transport refrigeration unit manufacturers, voiced their concern about costs and technological feasibility. Environmental NGOs mostly leaned in favour of Euro VI standards. Eventually, the Commission proposed the introduction of a stage V for all NRMM types, with emission limits reflecting US controls. Particulate mass or particulate number? In its consultation pages, the Commission acknowledged that in light of the substantial health risks of diesel particle emissions, it would be necessary to replace existing particle measurement techniques based on mass, which “no longer appear to be appropriate”. Until now, the European Union’s agreed policy, laid down in the 2008 Air Quality Directive, was to regulate emissions of ultrafine particulate matter (PM) known as PM10 and even smaller toxic exhaust from smelting, vehicle exhaust, power plants and refuse burning forming fine particles, called PM2.5. By contrast to the PM approach, the new NRMM regulation proposes to regulate particle number (PN) limits – or the number of PM present, regardless of their size – which will be introduced as part of stage V for most land, rail and water machinery. In its proposal, the Commission exempted several NRMM categories from PN limits. These include the engines of the largest land machines, those of the smallest inland water vessels, as well as engines installed in locomotives. Environmental NGOs see these exemptions as loopholes and recommend that Euro VI standards for road vehicles be used as a model. These standards include PN limits and should be applied to all NRMM types. Emission limits for new or old NRMM? During consultation, some industry interests questioned the relevance of setting new limits in order to efficiently reduce air pollution. Within that context, a debate emerged on whether emission controls should be applied to new and/or old machinery. “It is estimated that around 10 million tractors are currently used in EU27 … With annual sales in EU27 of around 200,000 units, it will take more than 15 years to achieve a significant overall reduction, if used to replace the most active machines (responsible for 70% of the total PM production). … (The) older machines will more and more become the primary source of PM in the agricultural machinery park. 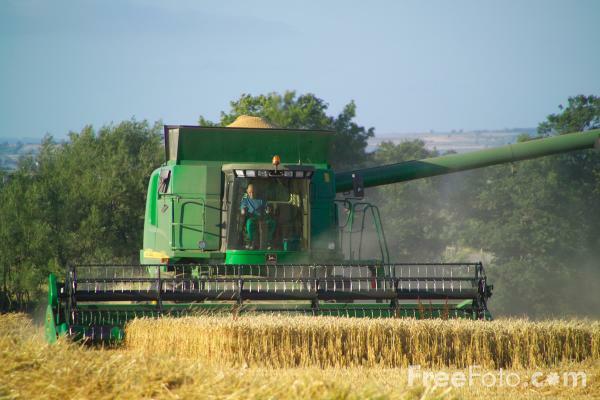 This begs the question where future action needs to focus on: on setting even more stringent emission limits for new machinery, or on new measures for existing machines,” asked CEMA. Meanwhile, the European Barge Union stressed that the renewal or retrofitting of engines in its legacy fleet was “only acceptable on a voluntary basis. A mandatory renewal of this (small inland water vessels) fleet would lead to a distortion of competition with regard to non-EU fleet and most of all with regard to other modes of transport where emission standards are only applicable for new engines." Real world or “in-service” testing methodology was also up for discussion because conventional testing of vehicles under “lab conditions” has delivered higher—misleading—figures on these vehicles’ environmental performance than what is observed in practice. The Commission believed that the revision should “at least include the basic parameters of a process leading to the introduction of in-service conformity requirements”. Industry argued that there is insufficient information at this time to formulate new testing methods, while green campaigners were disappointed by the Commission’s lack of concrete proposals on this matter. In the end, the proposed regulation stipulates that pilot programmes about in-service testing methods will be launched and that the Commission will have to report on results by the end of 2025, an excessively long timeline, according to NGOs. Industry requested maximum regulatory flexibility to facilitate transition to the new requirements. Options proposed during consultation, some of which were already present in the old Directive, included the granting of temporary derogations—for example to avoid the risk of unsold stocks of old machinery—and of ample lead-in times before new limits come into force. But the proposal eliminated most temporary derogations and lead-in times for compliance and placing on the market is now seen by industry as exceedingly short. Meanwhile, environmental groups stressed that compliance lead-in times still stretching to 2021 for select NRMM are too long and therefore detrimental to air quality. The Commission asked stakeholders whether they would prefer to keep NRMM law as a directive or to turn it into a regulation. According to the consultation pages, industry and green campaigners agreed that a regulation would be the best instrument to manage NRMM emissions since this would avoid the risk of lengthy and sometimes inadequate transposition into national laws. The Commission heeded their comments since it eventually proposed a regulation. Contrary to directives, which have to be transposed in national law – and therefore are often subject to different interpretation or gold-plating –, regulations are directly enforceable. Most industry players agree that EU emission limits should align with the tighter US emission rules since having a single standard would facilitate exports. The Committee for European Construction Equipment (CECE) agreed but observed that “not all limit values described in the consultation paper--for example stage IV for 19-37 kW variable speed engines-- are fully aligned” with US standards and thus the Commission lacks coherence in its approach. During consultation, there were some dissenters among industry. While supporting US-aligned emission controls, manufacturers such as Ingersoll Rand’s Thermo King anticipate substantial challenges in technology as well as heavy cost impacts for their small- and medium-sized engine suppliers. Thermo King manufactures transport refrigeration units (TRUs) which, for example, allow for temperature control of trailers carrying perishables such as meat, fruit and pharmaceuticals. Such TRUs, Thermo King claims, play a critical role in human health and safety. Speaking to EURACTIV, the firm warned that proposed alignment of the directive’s emission limits with US standards would create “design issues”. “Adapting TRUs would inevitably increase units’ size, but the room available for the units to be attached onto trailers cannot be similarly augmented. It is currently regulated by EU laws. EU laws—on trailer size for example—should be modified so that there would be enough room for the new TRUs. Regulatory equivalents in the US allow for sufficient room and we already manufacture TRUs with cleaner engines for that market. If that issue is resolved at the EU level, we would therefore have fewer problems switching to Stage V TRUs”. Green campaigners argue that instead of using US standards, the Commission should focus on EU emission benchmarks such as Euro VI already available for on-road vehicles. “The draft proposal excludes the (large) land-based machines above 560 kW from the strict limit of 0.4 g/kWh for NOx, equivalent to Euro VI emission limits. However, when it comes to water vessels, it sets (such a limit) for large engines above 1000 kW, proving that it is feasible … The state-of-the-art technology allows for setting these stricter limits (which are) needed to protect human health and the environment—the aim of the NRMM legislation”. Industry players expressed some doubts about the rationale and cost/benefits of introducing PN counting in Stage V rules. T&E protested vehemently after the EU proposal failed to include PN limits for land non-road engines with power above 560Kw, inland water vessel engines with power below 300 Kw and railroad locomotives. “The bad air we all breathe in urban areas across Europe is partly due to diesel machines operating in construction sites and on locomotives and barges. Instead of filtering their toxic emissions, the Commission wants to allow more cancer-causing pollution for years to come” warned the NGO. Several industry groups voiced their concerns regarding the possibility that some or all stationary engines would now be covered by EU law. For example, Eurelectric highlighted the risk of legislative redundancy. According to the consultation pages, the NRMM directive could extend its scope to include them. However, the Industrial Emissions Directive (IED) also covers these engine types. Although currently, the IED does not specify any emissions limits, its review clauses ask the Commission to explore the possibility of setting emission limit values for stationary engines. Therefore, Eurelectric believes that “the proposal to extend the scope of the NRMM Directive to … stationary engines will duplicate existing European legislation... It will also cut across existing European Commission reviews under the IED that are already in progress ... We would also highlight that individual member states already regulate the emissions from (certain) stationary engines… The proposal in the NRMM Directive would also duplicate this existing regulation,” stated Eurelectric. Industry and green NGOs are definitely at loggerheads about transition matters such as temporary derogations and compliance deadlines. According to the draft, the new EU law would come into force in 2017. Manufacturers would then have 12 to 36 months, depending on engine type, to get new machinery approved and another 12 months for placing on the market. That timeline was confirmed in the final proposal. In contrast, Transport & Environment lamented the draft’s late deadlines (2021 for select NRMM)—but added that “eliminating derogations is key. Otherwise industry tends to stockpile the cheaper, more polluting machinery for prolonged periods after the law comes into force. Selling it after that date helps manufacturers to easily gain market share since the new machinery is more expensive”. Some concessions to industry, which were absent from the draft, appeared in the final proposal however. For example, manufacturers “with a total yearly production of fewer than 50 units” of NRMM would be granted a twelve-month extension to the transition period. CEMA welcomed the change, but told EURACTIV that its preferred option would be for an extension that applied to manufacturers with yearly output of up to 100 units. During consultation, both industry and green NGOs leaned in favour of a regulation instead of keeping the EU law as a Directive. The Commission’s proposal thus reflects that preference. Talking to EURACTIV, CEMA confirmed that “a regulation would be the preferred instrument. First of all this would contribute to having a functional EU internal market for NRMM, which is coherent with EU goals. In addition, there is always the risk with a directive that during transposition, member states add some of their own nuances or even rules, which creates intra-EU trade barriers for manufacturers”. Green association European Environmental Bureau shared that view: “Since we believe that NRMM must be part of EU pollution control legislation and we want a quick and speedy approach to this, we do support a regulation—this would avoid the delays of transposition at the national level and the risk that member states customize the law to their national circumstances”. 16 Dec. 1997: EU adopts Directive covering diesel engines for common NRMM. Emission restrictions will be applied in two increasingly stringent stages. 9 Dec. 2002: An amendment extends the directive’s scope to some petrol engines. 21 Apr. 2004: An amendment extends the directive’s scope again and regulates emissions in three further stages (stages III A, B and Stage IV according to engine type). 2006-2012: Several amendments mostly address a series of exemptions or attempt to better reflect technical advances. 2013: The EU executive launches a stakeholder consultation as part of the directive’s review. 25 September 2014: The Commission proposes a new regulation on “emission limits and type-approval for internal combustion engines for non-road mobile machinery”.